Click here to download a source sheet on shmita. "The light that was created on the first day was the light with which Adam saw from one end of the creation to the other. This original light is the light of consciousness (ohr ha’sekhel), the light which illumines the mind. It is through this that Adam perceived and grasped the entirety of the universe." Seeing from “one end of the creation to the other,” Adam saw the Earth and all of Creation as a unified revelation of God’s Will. Enlightened by this awareness, the relationship between people and the Earth was an intimate one, based upon love and respect. People would “work and guard” the land, and in turn, the Earth would sustain and nourish all of its inhabitants. When Adam and Eve ate from the Tree of Knowledge of Good and Evil, this harmony was shattered and the relationship between humanity and the Earth was broken. Hashem had warned them that partaking from the tree would have consequences, “for on the day that you eat of it you shall surely die.”  However, their desire to derive benefit overpowered their sense of responsibility and blinded them to the disastrous consequences of their actions. Yet we are not powerless in the face of this broken awareness. Just as the Torah is a guidebook on mending the relationships between men and women, sibling and sibling, nation and nation, so too, the Torah contains within it commandments whose aim is to heal the brokenness in humanity’s relationship to the Earth. Shmita, the sabbatical year, comprises a number of the 613 commandments (mitzvot) of the Torah. 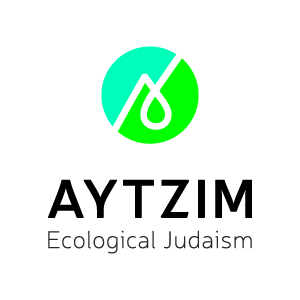 With today’s environmental challenges, these mitzvot may be more relevant and needed today than at any time in Jewish and world history. The first commandment is that the land should rest, as the Torah says, “and the land shall rest a Sabbath to Hashem.” This occurs by people refraining from planting, pruning, plowing, harvesting or engaging in any other form of working the land. The second commandment is that all seventh-year produce is hefker—ownerless and free. The third commandment is for Jews to cancel outstanding debt obligations between each other. The fourth commandment is to sanctify all seventh-year produce. We do this by handling it respectfully, consuming it completely, and not doing any business with it. We will explore each of these commandments in an attempt to understand their timeless wisdom and application for today’s world—a world which so desperately needs a shift in our collective consciousness. The first commandment, that the land “shall rest a Shabbat to Hashem” is mysterious. First and foremost, the Torah-mandated cessation of work provides time for humanity to pursue spirituality, whether through learning Torah or contemplation of the world. However, this commandment is not just focused upon the development of the Jewish People. The great commentator and philosopher Maimonides (Spain, 1135-1204) wrote that some of the laws of the Sabbatical Year “are meant to make the earth more fertile and stronger through letting it lie fallow." Chief Rabbi Jonathan Sacks comments based on this teaching that “the Israelites were therefore commanded to conserve the soil by giving it periodic fallow years and not pursue short-term gain at the cost of long-term desolation.” Indeed, research on how a one year fallow affects soil quality has indicated that soil quality increases in the subsequent years. However, the Torah does not merely say, “Let the land rest;” rather, it says “let the land rest a Shabbat to Hashem.” Like the commandment to rest every seven days on Shabbat, shmita not only provides physical benefits but also enables humanity to develop spiritually and experience the unity of Creation. It also seems designed to shift our how we relate the Earth. The Earth is not merely some resource to be used and abused. If we want to live on the land, it is our responsibility to let it rest. The Torah warns us that if we fail to keep the mitzvah of shmita, “Then the land shall enjoy her Sabbaths” — when we are expelled from it and it lies barren. This is a consequence, for the Earth will rest regardless of our actions. If we want to live on this land and receive sustenance and protection, we must internalize the responsibilities of being in a relationship. In the Book of Genesis God tells Adam, “With the sweat of your brow you shall eat bread.” For thousands of years, humanity has sweated trying to pry sustenance from the Earth. Now, imagine for a moment that after all the blood, sweat, and tears a farmer has invested in the land, he or she is commanded not to harvest produce for an entire year. Rather, this farmer is told to relinquish all ownership and let the needy and animals enter their farms and eat what they need. It would be hard for any person to let go of the land which they have tended and from which they have gained nourishment for six years. The second commandment of shmita is that all seventh-year produce is hefker—ownerless and free. Now, imagine loaning your hard-earned pay check to someone in need. However, instead of collecting the debt, at the onset of the seventh-year you are required to absolve all financial agreements and let go of the money you had expected to get back. What a challenge it is to let go of the money we loaned to others in need! The third commandment is for Jews to cancel outstanding debt obligations between each other. When we abstain from working the land during the shmita year and relinquish the ownership of its produce, we acknowledge that we do not own the land. This is a crucial insight for our modern world. It provides us with the opportunity to free ourselves from the constant pursuit of material goods and wealth — and the idolatrous illusion that they signify our value and the value of our existence. “And the Sabbath-produce of the land shall be for food for you: for you, and for your servant and for your maid, and for your hired worker and resident who live with you. And for your cattle, and for the beasts that are in your land, shall all the produce be for food.” These verses serve as an introduction to the fourth category of shmita: the laws of the sanctity of seventh-year produce, called kedushat shevi’it. All produce grown during the seventh year is “food for you,” that is to say, is only to be used as food. The produce must be handled respectfully, consumed completely, and not used for business purposes. The laws regarding the sanctity of seventh-year produce are quite complex, however, even superficial familiarity with the laws can bring us to a significant insight regarding our relationship with material goods. Kedusha, translated as holiness or sanctity, actually means separate. That is to say, an object, place, or moment in time is inherently different on account of its kedusha, and our relation to it must reflect its “separateness.” For example, the day of Shabbat is kadosh, separate from and different than all other days. So too, produce grown in the shmita year is kadosh, and we must treat it as such. Rabbi Moshe Chaim Luzzato (known as the Ramchal, Italy, 1707-1746) explained that the kedusha of something guides us towards the awareness that everything is created by God. Through that awareness, we experience an intimate closeness to Him, even as we engage in physical acts like eating or working. Shmita can help us reflect on the sanctity in our food and in all things, and help us connect with the Source of all things. This new perspective can help us relate differently to all the resources of the world around us. Awareness that the land has needs, that there is kedusha in all things, and that we are in relationship with the land are rather foreign concepts to contemporary consumer culture. Today it is acceptable, even encouraged, to consume without considering the sanctity of our resources or our food. The way that we treat the land today reflects that humanity has yet to learn the lessons of shmita. One driver of tropical deforestation, particularly in Latin America, is the growing demand for beef. The “slash and burn” method of clearing land for agriculture, employed globally by both small and large-scale cattle farmers, involves cutting the vegetation of a plot of land and allowing it to dry, at which point it is burned. The cleared forest lands are then cultivated for a few seasons until yields decline on the fragile, nutrient-poor soil, used for cattle pasture until it is further degraded, and then abandoned. The UN FAO notes, “Deforestation causes incalculable environmental damage, releasing billions of tons of carbon dioxide into the atmosphere and driving thousands of species of life to extinction each year.” Cutting down rainforests and then farming and grazing cattle on weak soils therefore impacts biodiversity and the global climate. Shmita teaches us about the needs of the land, our responsibilities to the earth and other people, and the holiness in the world. Today’s society is in great need of this wisdom, not just to take care of the land itself but to preserve it for the future of human beings. How can we bring this wisdom into our lives and into the world? There are several things we can do. First, keep track of the shmita year so that you can be aware of the cycles of the land. The next shmita year will begin on Rosh Hashanah 5775, September 2014. Although you are likely not a farmer in Israel, contemplate the significance of a Sabbatical year occurring, and what that can mean to you personally. Second, in preparation for shmita, consider how you would like to mark this time in your own life. Would you like to set aside additional funds for charity, or take extra time during this year to appreciate and sanctify your food? While these activities are not required, they can enrich your Jewish practice, and help you connect to the shmita cycle. Third, shmita is a cycle which includes both “working and farming” years and the “rest years.” So, the values of shmita also can enrich our thinking every day, not just during the shmita year. Considering the significant impacts that our society is having on the land today, there is much that we can do to rectify this with values that reflect a deeper and more meaningful relationship with the land. We can reduce our eating of meat, and make sure that our wood products (including paper) come from sustainable sources. We might consider eating more healthy, organic and local food, in order to connect ourselves to the land where we live. The Jewish mystic Rabbi Berachya (11th century, France) taught that God left in its place “one-seventh” of the original Light which God created. This is the light of Shabbat, the very same light which Adam “saw from one end of the creation to the other,” the “light which illumines the mind.” Every seven days we are commanded to rest, to abstain from going about our business as we normally do. We do this so that we can dedicate ourselves to spiritual growth and maybe receive a glimpse of this light and experience God’s revelation in the world around us. However, as Rav Berachya explains, eventually there will be a time in which the light will be revealed to the righteous in all its glory. Those who merit will see everything that exists as a revelation of God, not just one in seven, but every day. The mitzvah of shmita is also a revelation of this light of Shabbat, for it is a “Shabbat to Hashem.” Even though the mitzvah only comes every seven years and only applies to the land of Israel, the shift in consciousness about which we have learned is not bound by time and space. It is about uncovering the reality that exists at every moment—a world created and run by God. One of the spiritual roots of the environmental crisis which we are facing today is the desacralization of the material world—the inability to see the things around us and this world as precious gifts created by God. However, as we learn about the message of shmita and dedicate ourselves to internalizing the Torah’s timeless truths, a bit more light shines through and we move one step closer to the time in which both humanity and the earth will rest in harmony with each other in the Ultimate Shabbat. Shmita demonstrates that the earth needs to rest as an ecological necessity, just as people need to rest as a spiritual necessity. Shmita represents an ideal, an expanded perspective which seeks out meaning in all experiences and moves us to treat the world around us, and its fruits, with the sanctity they deserve. The world is sorely in need of wisdom that helps us learn to relate differently to the land. May the Jewish people manifest it themselves and share it with the world. Aderet Eliyahu, Bereshit Aleph, al derekh ha’remez, p. 37 old editions. Translation by Rabbi Avraham Sutton. According to the counting of Rabbi Aharon Halevi of Barcelona in Sefer Hachinuch, five of the commandments (#326-330) in regard to shmita include not working the land or trees, not cutting aftergrowth of crops, not gathering fruit in a normal manner, and counting seven shmita cycles. Other commandments relate to forgiving debts. Vital, Rabbi Chaim, Sefer Etz HaDa’at Tov, Behar 25:1, 1871. The Guide of the Perplexed, III:39, p. 553, translation by Shlomo Pines, 1963. The Dignity of Difference: How to Avoid the Clash of Civilizations by Chief Rabbi Lord Jonathan Sacks, Continuum: London, 2002, p. 167-8. “Shmita and Soil Quality,” by Gemma Harwood, Dissertation for B.Sc. in Geography, University of Nottingham, England, 2011, based on research done in Israel. The improved soil quality was evident in the levels of bar carbonate, electrical conductivity and calcium. In the days of Hillel the Elder (110 B.C.E.-10 C.E. ), people stopped giving out loans in the sixth-year so as to avoid absolving the loan upon the beginning of the shmita year. Because this action was in violation the commandment not to withhold loans before shmita, Hillel the Elder instituted what is known as Prozbol, where debts were signed over to a Jewish court so that the individual creditor would not collect the loan, which was forbidden after shmita. Rather, the court, which is not obligated in this law, would collect the debt. See Babylonian Talmud, Tractate Gittin 36a. Midrash Vayikra Raba, Vayikra 1:1, commenting on Psalms 103:20. Rambam, Guide of the Perplexed, Part 3, chapter 39, commenting on Exodus 23:10. Rabbi Chaim Vital, Etz Chayim Sha’ar HaKlalot, Chapter 1. Psalms 24:1. However, Psalms 115:16 states, “The heavens are heavens of the Lord, but the earth He gave to the children of men.” The Talmud reconciles the seeming tension between these verses. Babylonian Talmud, Tractate Sanhedrin 39a. Abarbanel, Rabbi Don Yitzchak, Nachalat Avot, 5:11. Tukachiknsky, Rabbi Yehiel Michel, Hilchot Sheviit Chapter 5, 1. Luzzato, Rabbi Moshe Chaim, Mesilat Yesharim, Chapter 26. Butler, Rhett A. and Laurance, William F. (August 2008). "New strategies for conserving tropical forests". Trends in Ecology & Evolution, Vol. 23, No. 9. pp. 469–472. A study analyzing causes of deforestation worldwide, based on numerous previous studies, concluded that no single factor can be attributed to deforestation, but that the causes are region specific. See Helmut J. Geist And Eric F. Lambin (February 2002). "Proximate Causes and Underlying Driving Forces of Tropical Deforestation". BioScience, Vol. 52, No. 2. pp. 143–150. http://www.freenetwork.org/resources/documents/2- 5Deforestationtropical.pdf The Global Forest Resources Assessment 2005 of the United Nations' Food and Agriculture Organization, cited above, makes a similar point on page 57. Rabbi Noam Yehuda Sendor lives in Melbourne, Australia, where he serves as the campus rabbi at the Leibler Yavneh College and as the assistant rabbi at the HaMayan Shul. Israel has nearly as many plant and animal species as California.